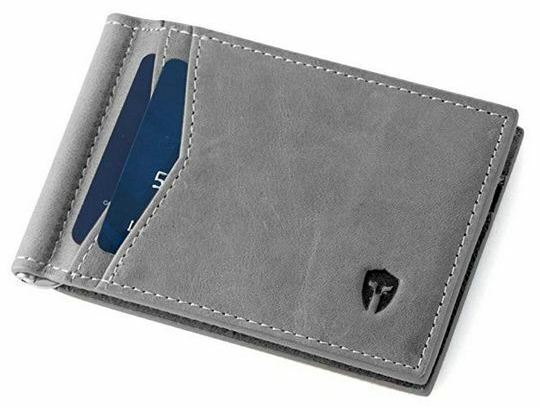 The Modoker is a Smart-Tracking and Anti-lost mens’ Bifold wallet made of high-quality and genuine cowhide leather that ensures optimum-durability even with daily usage. 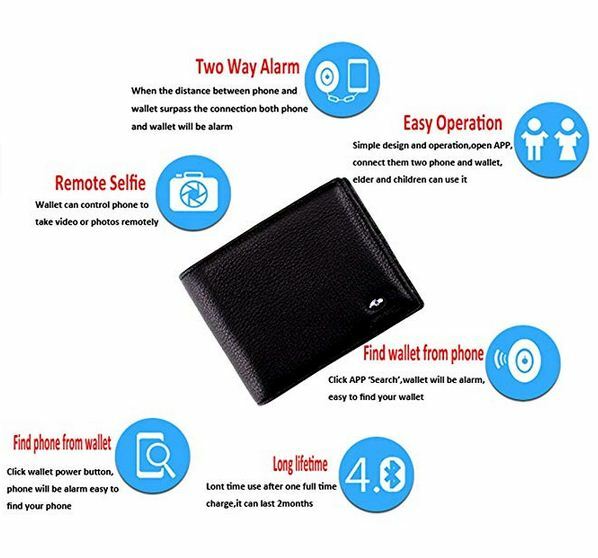 This wallet features a 4 Card-Slots, 1 ID-Display Window, 1 main-pocket and 1 secondary-pocket coupled with a 2-way Anti-lost & tracking System that uses a downloadable App called “bseek” which is available on Google-play or App-Store. In fact, the 2-way Anti-Lost System helps to build connection between the wallet and Smartphone while other integrated smart-features like; Smart-Find, Location-Record, Voice-Record, Smart-Led-Light and Multi-function controls make this wallet more convenient to use. 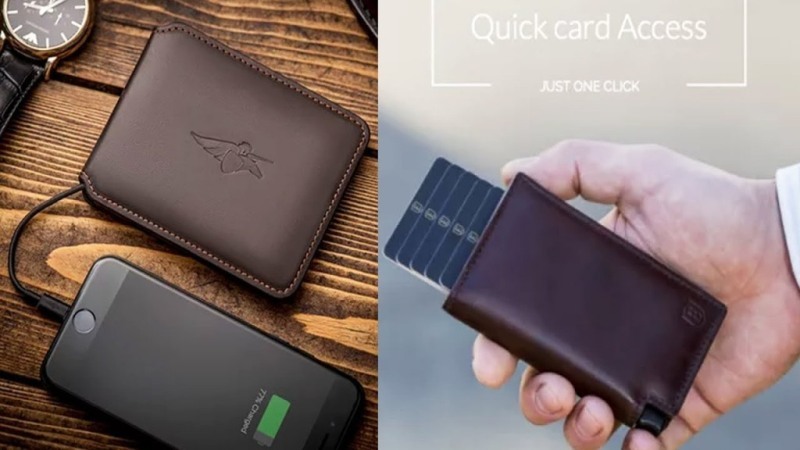 Likewise, this smart-wallet is rechargeable for about 2-hours in-order to achieve a full-charge that can last for up to 2-months while its high-quality genuine leather material feels so soft, durable and breathable and even features a natural grain texture which makes it a perfect gift for men. It’s a Smart Tracking Wallet. It features a classic & Bi-fold style. It features a 2-way Anti-lost & tracking System. It features 4 Card-Slots and 1 ID-Display Window. It features 1 main-pocket and 1 secondary-pocket. It’s made of High-quality Genuine Cowhide Leather. 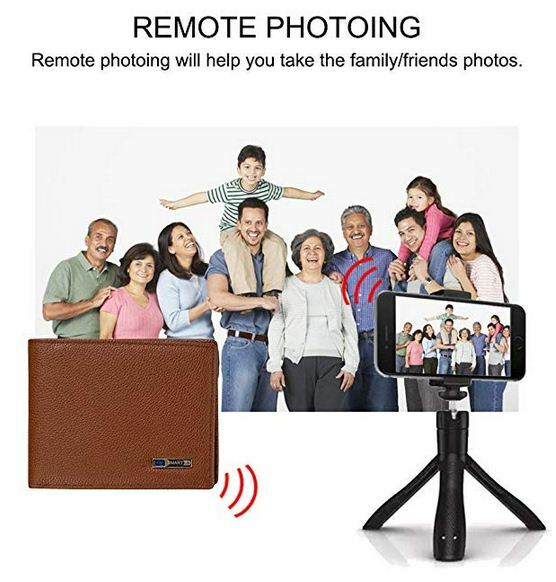 It features Bluetooth-connectivity easy connectivity to any Smartphone. An inbuilt, rechargeable battery that lasts for 2-months after 2-hours full-charge. It features a downloadable App called “bseek” available on Google-play or App-Store. It features: Smart-Find, Location-Record, Voice-Record, Smart-Led-Light & Multi-function. 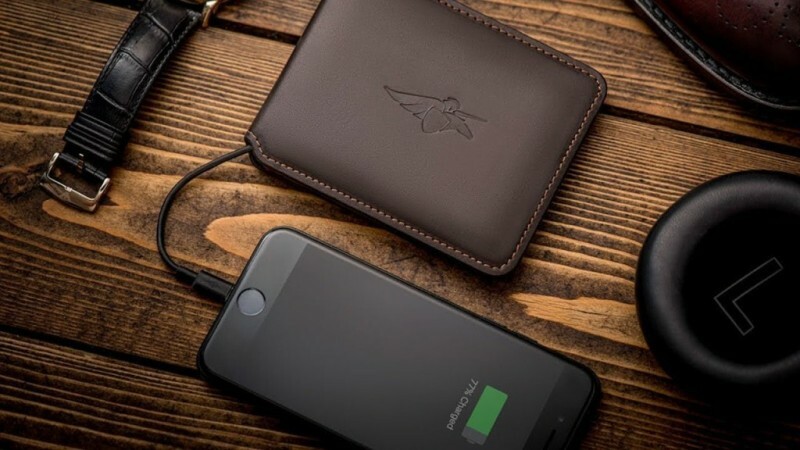 The Tuopuke is a genuine-leather, Anti-Lost and Anti-Theft Selfie wallet equipped with Bluetooth-technology for easy connectivity to your Smartphone via a downloadable App. 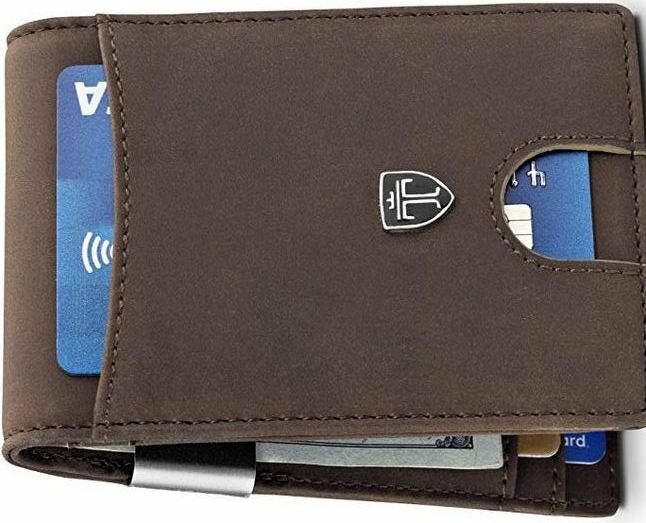 In fact, this smart-wallet features a credit card holder slot and a cash-pocket for secure storage of your personal items. 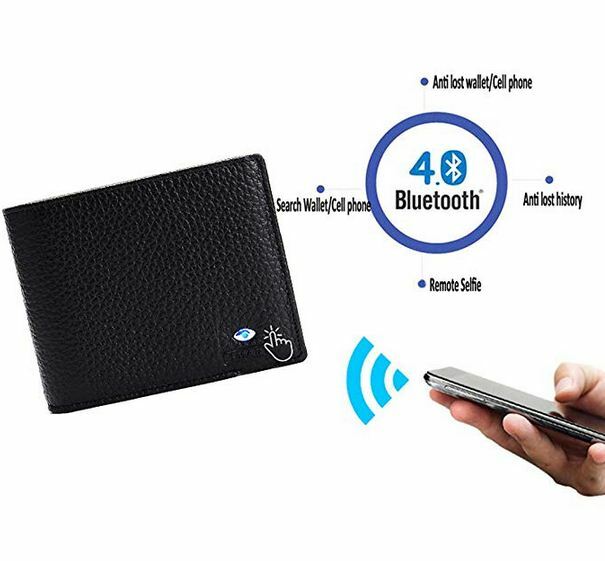 On the other hand, the Bluetooth-unit inside the leather-cover of this wallet is sealed well and the electric board is thin enough that you cannot feel it hence making this wallet very portable easy to carry. Likewise, this smart wallet features a downloadable-App that is available on both IOS-7.0 and Andriod-4.3 and above in an English version while the integrated selfie-function can be accessed through the downloaded App on your Smartphone. 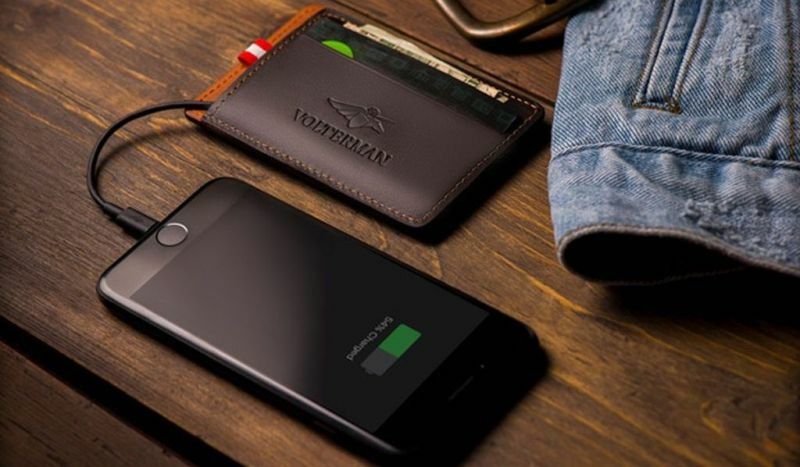 Lastly, this wallet is rechargeable whereby its battery can last for up-to 2-months with a 1.5-hours full-charge. It’s a Genuine leather wallet. It has a credit card holder slot. It features a wide cash-money pocket. It features Anti-Lost & Anti-Theft Selfie functions. It’s very portable & lightweight for optimum convenience. Bluetooth-technology for connectivity on your Smartphone. It features a downloadable-App available on IOS & Android. Its features a selfie-function that can be controlled on phone-App. It features a rechargeable-battery that charges for 1.5-hours and last for 2months. The Bryker Hyde is a Slim and Minimalist Front-Pocket Wallet equipped with RFID Blocking technology which uses a unique blend of composite metals to block both low and high frequencies at 125-KHz and 10MHz to 3000 MHz signals. In fact, with this technology creates a firewall against digital-thieves in-order to prevent them from accessing your personal information so that you can achieve peace of mind. Additionally, this wallet is handcrafted out the finest full-grain distressed leather which gives it a natural and amazing appearance while its compact design provides comfortable front and back pocket wear. 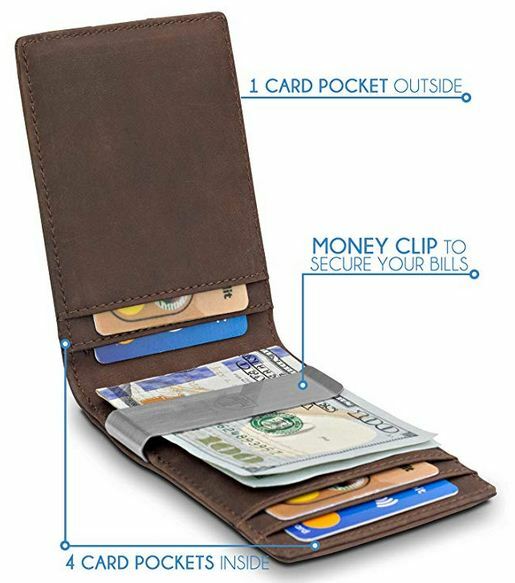 Likewise, this smart-wallet features 8 card-pockets, 1 money-clip and 1-ID window with an ezthumb hole and it has been tested to fit all global-currencies and it’s also available in different colors for you choose the right colors for your style. 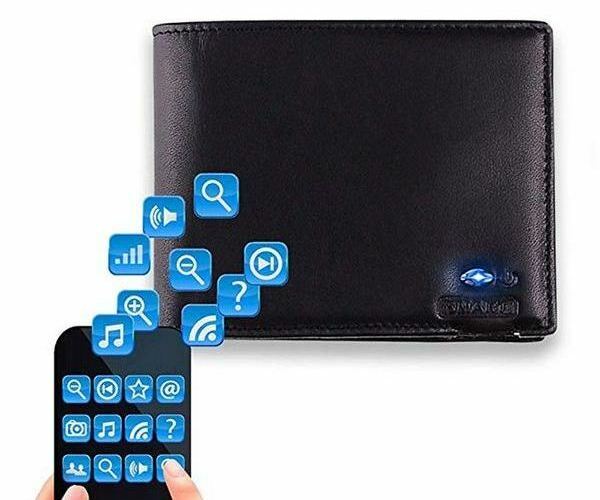 So, if you have been looking for smart and compact wallet to take on your vacation, then this smart-wallet will perfectly store your currency bills and cards by shielding them against unwanted RFID NFC and BLE scans. 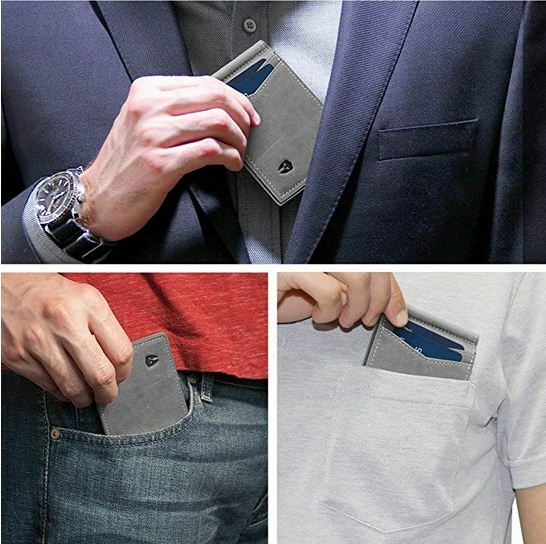 It’s a portable, Front Pocket smart-wallet. Made of finest full-grain distressed leather. Its Ultra-slim (1/4″ thin x 4-3/8″ H x 2-7/8″ W). It’s personally tested to fit all global-currencies. It features 8 card-pockets, 1 ID-Window & 1 money-clip. A compact design for comfortable front and back pocket wear. Shields bills & cards against unwarranted RFID NFC & BLE scans. It’s equipped with RFID Blocking technology that blocks low and high frequency signals. The Modoker is a Smart Tracking Wallet with a Long Bifold design that makes it perfect for use by both men and women. 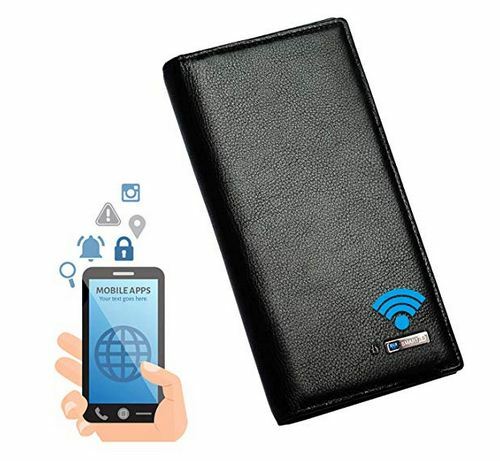 In fact, this smart-wallet features a 2-way Anti-lost & tracking System that creates a connection to your Smartphone while available free App helps you control the wallet on phone in-order and even remembers the last time and place it saw your wallet. On the other hand, smart-wallet is equipped with 12 Card-Slots,1 ID Display Window and 3 note-compartments for easy storage of money, cards and other small-items. Likewise, this wallet features a full-grain leather material which makes it very durable and elegant. 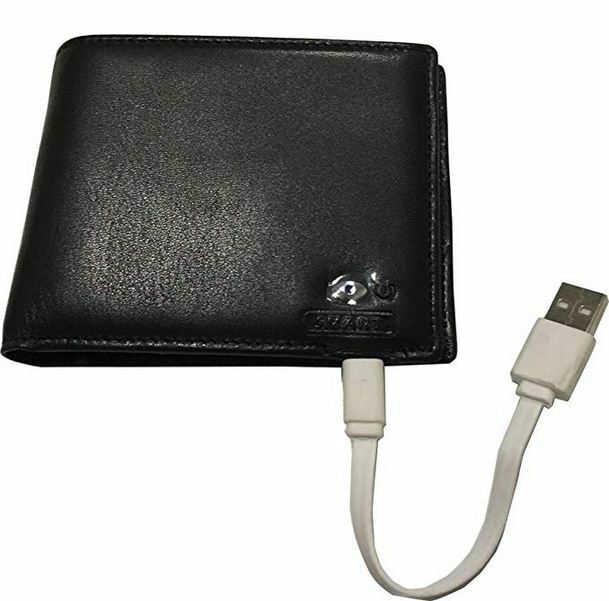 Additionally, this wallet is rechargeable and requires only 2-hours of full-charge to work for you for up-to 2-months. It’s a Smart Tracking & Anti-lost wallet. It’s made of a full-grain leather-material. A compact & sleek size of: 7.3″ x 3.5″ x 0.8″. It can be connected to your phone via Bluetooth. 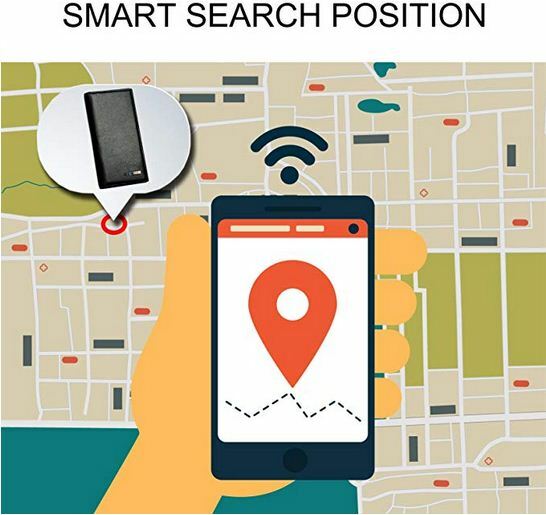 It’s equipped with a 2-way Anti-lost & tracking System. It’s rechargeable for 2-hours to get 2-months of usage. It can be controlled on phone using a downloadable App. It features a Long Bifold design perfect for Women & Men. It has 12 Card-Slots,1 ID-Display-Window & 3 note-compartments. 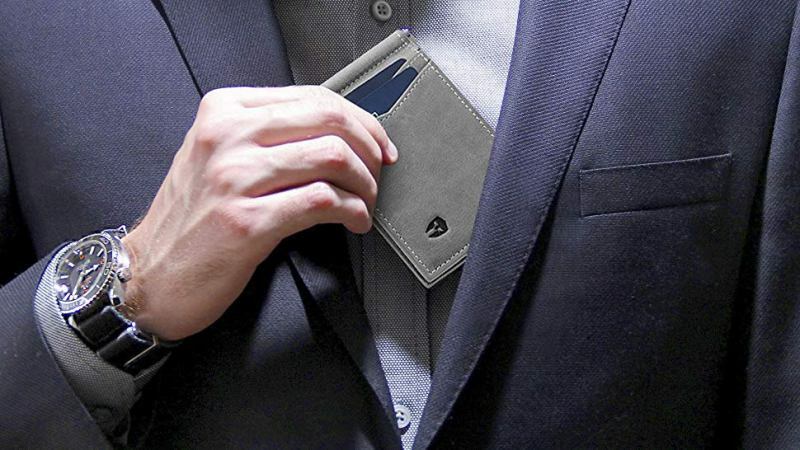 Travando is a Men’s Money-Clip Wallet equipped with RFID Blocking technology in-order to prevent electronic pick-pocketing and identity-theft while it’s Minimalist slim and Bifold design facilitates for easy fitting into your pockets. 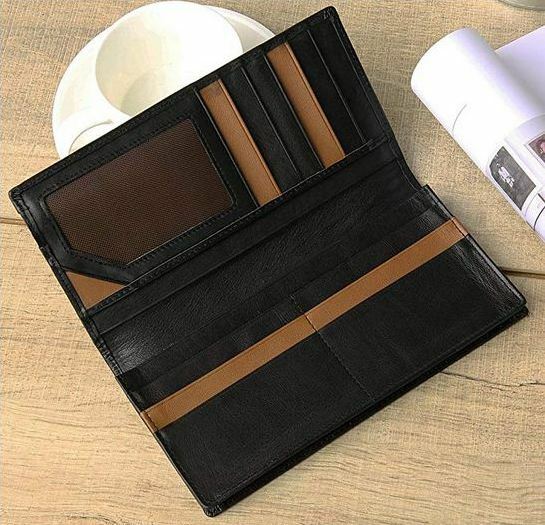 On the other hand, this wallet is equipped with 5 card-pockets which include; 1 easy-access front pocket and 4 inner pockets that are ideal for carrying business cards, credit-cards, debit-cards and even bills while the integrated outside notch allows you to push out the cards easily. Likewise, this wallet features RFID-blocking insulation that prevents electronic pick-pocketing and identity theft of your credit cards. In fact, all the inner-pockets of the wallet are protected from RFID-theft most especially 13.56 MHz RFID and NFC standards. Additionally, the integrated metal money-clip allows you to clip several bills inside your wallet. 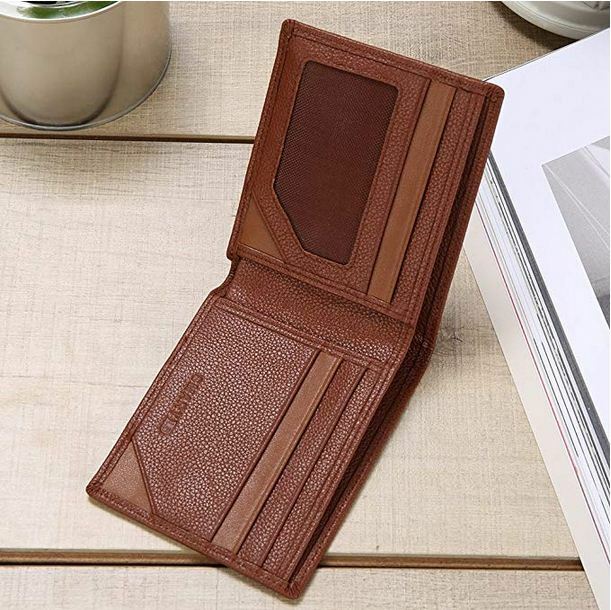 Furthermore, this wallet is made of premium materials crafted with great detail in-order to give it an elegant and quality appearance while its small-dimensions allow it to fit into your pocket perfectly without bulging out. It’s a Men’s, Slim Money-Clip Wallet. It holds up to 5 credit & debit cards. It features 1 easy-access front pocket and 4 inner-pockets. It features RFID Blocking Technology that prevents electronic theft. It’s equipped with an outside notch that allows for easy push-out of cards. 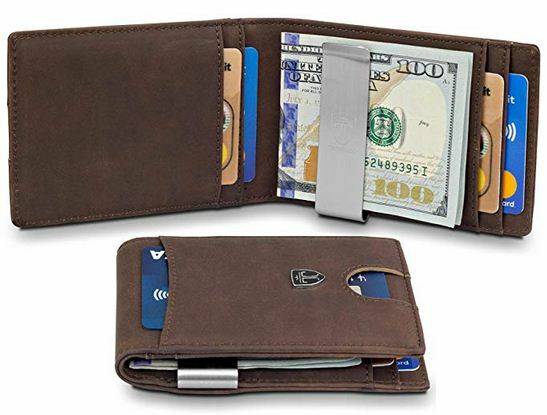 It features a metal money-clip that allows for clipping of several bills in the wallet. It features small-dimensions of: 4.13″in x 2.3″in x 0.4″in for perfect fitting into your pockets. 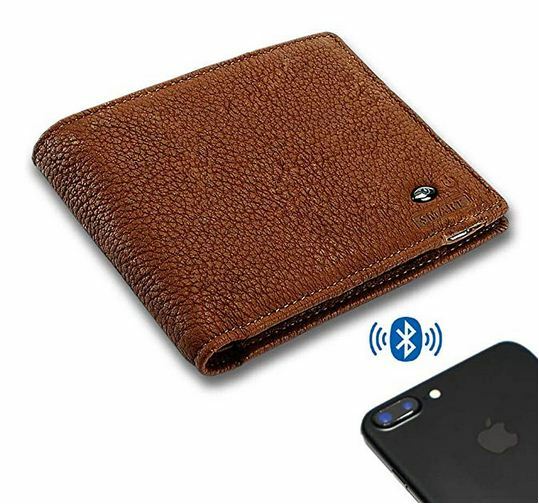 All the featured Smart Anti Lost Wallets are equipped with advanced-technologies like; Bluetooth and Wi-Fi connectivity coupled with RFID-Blocking for optimum safety of money, financial-cards and other personal-items in 2019. In fact, these technologies help to prevent your wallet from being accessed by both physical and digital thieves thus making a perfect choice for travelers and people who use public transports means. All in all, these wallets can be tracked using your Smartphone in-order to get the thieves quickly like never before.